New York (AFP) - Hard rocker Meat Loaf has announced a tour for the first time in two years after health concerns clouded over past shows. The 67-year-old singer, known for his wide vocal range and elaborate stage performances, said he would start the tour on October 23 in the southern California city of Temecula. "As a performing artist, being in front of a live audience is a feeling you can't get with anything else," he said in a statement. Meat Loaf canceled a 2007 tour of Europe due to a vocal cord problem and collapsed on stage in 2011, leading to expectations he would soon retire. The site Vintage Vinyl News earlier reported that Meat Loaf scrapped a full tour planned this summer in North America for medical reasons. 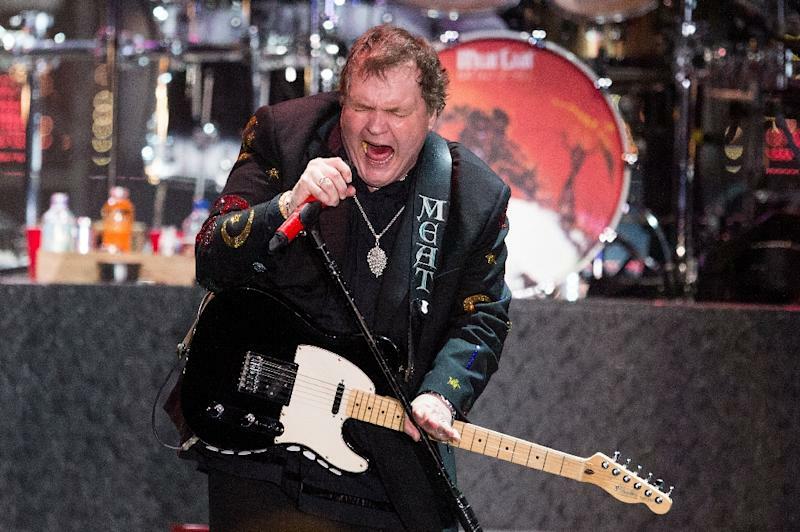 Known for his portly physique, Meat Loaf has said he has lingering health problems from asthma and around 18 concussions, suffered when he was playing football as a youth. The Texas-born singer scored a massive hit in 1977 with "Bat Out of Hell," which remains one of the top-selling albums of all time. After a career rut, Meat Loaf enjoyed a revival with the success of his 1993 song "I'd Do Anything for Love (But I Won't Do That)." He is among the few major US musicians outside of the country genre to support the Republican Party actively, having campaigned during the 2012 election for President Barack Obama's challenger Mitt Romney.